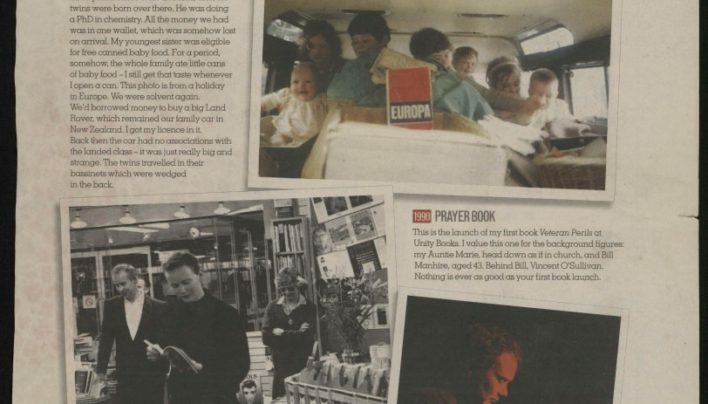 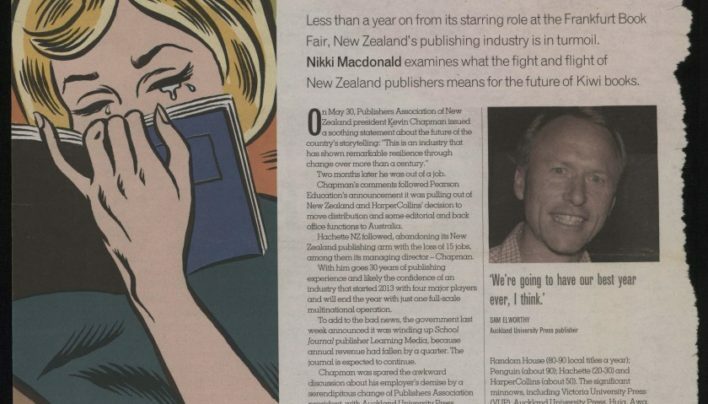 An article about the state of book publishing and book selling in New Zealand. 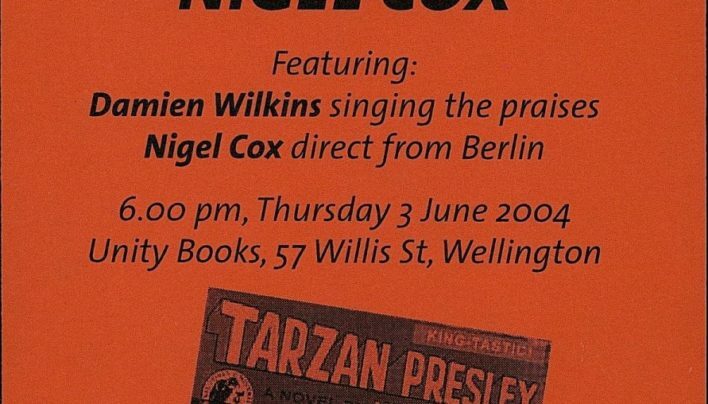 An invitation to an event celebrating World Book Day 2002. 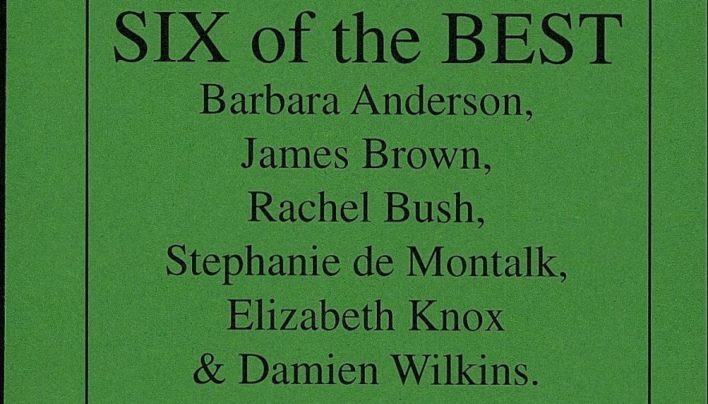 Six writers published by Victoria University Press joined chair Bill Manhire for an evening of readings. 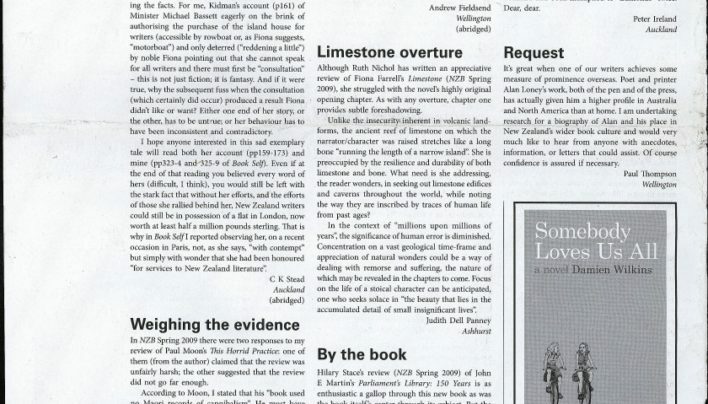 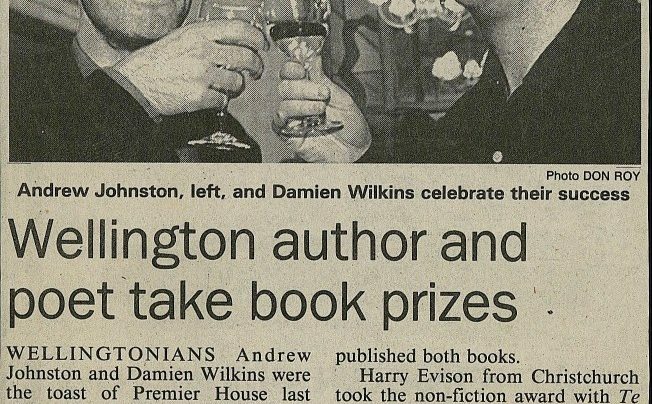 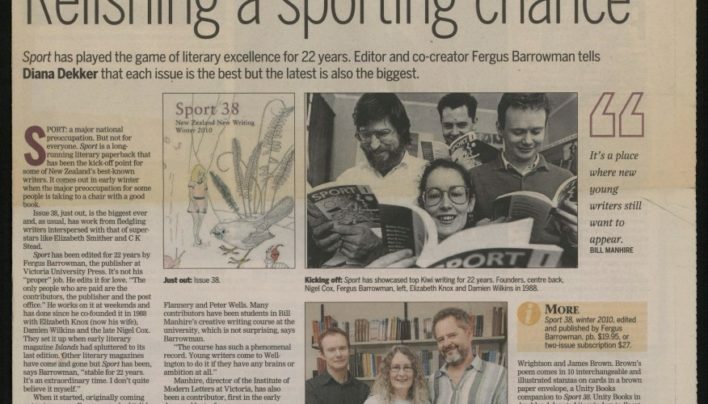 The New Zealand Book Awards for 1993 featured wins by two Wellingtonians: Andrew Johnston for his book of poetry How To Talk, and Damien Wilkins for his novel The Miserables. 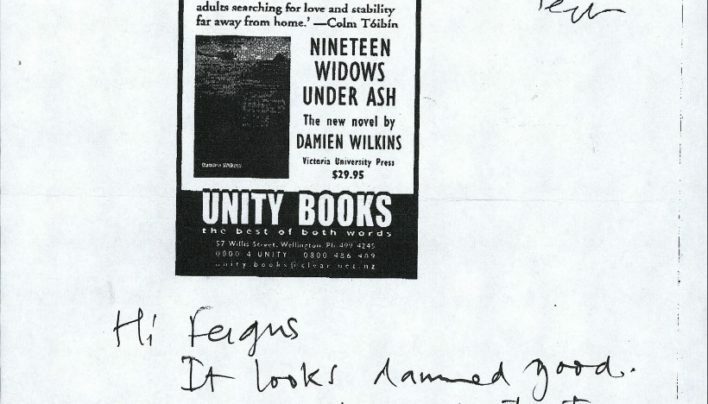 Our advertisement for Nineteen Widows Under Ash by Damien Wilkins (Victoria University Press). 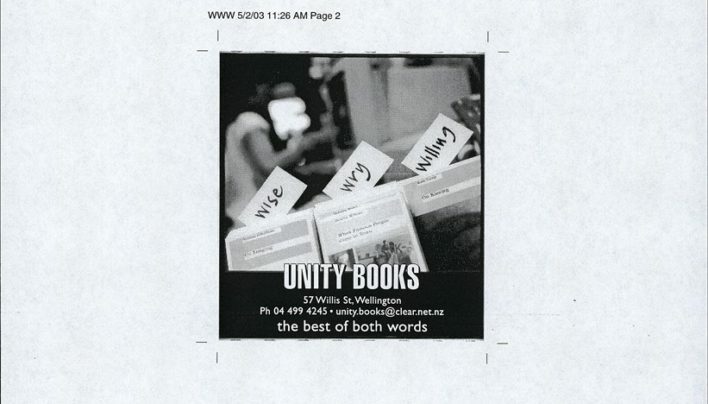 Our advertisement for an event held at the City Art Gallery for World Book Day, featuring four recently published authors in conversation with Damien Wilkins.